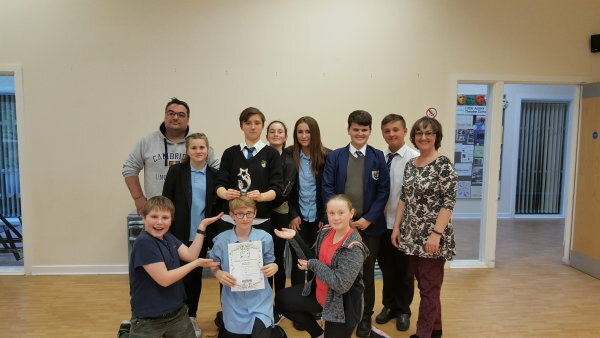 InterACT Youth Theatre which meets at Neston Community and Youth Centre, has again scooped awards at the Leverhulme Drama Festival for 2018. With their play 'The Blue Electric Wind' by Brad Birch they won the Val Marshall Trophy for Artistic Endeavour. 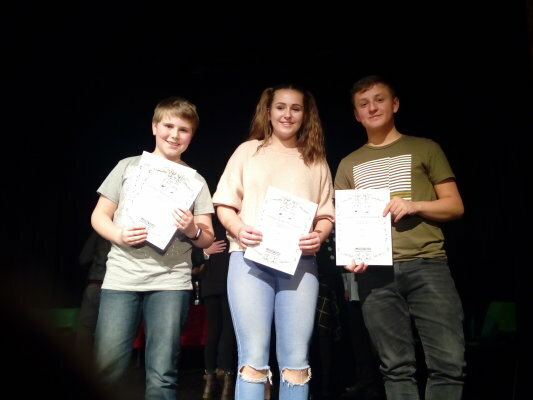 Also actors Oliver Cunliffe (14) and Flo Raven (12) were joint Best Supporting Actors with Matthew Latham (12) and Joshua Stevens (14) as joint runners up in the Best Actor category. 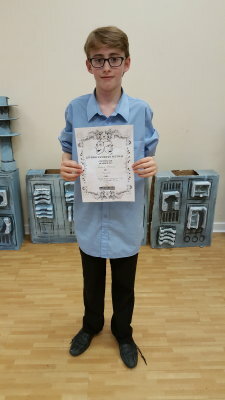 The play was presented as part of National Theatre Connections and was premiered at Neston Civic Hall in March. The play then performed in the under 16s category of the Leverhulme Drama Festival at the Gladstone Theatre in Port Sunlight. Finally as part of National Theatre Connections the group performed at the professional venue The Lowry, Salford Quays. Nt Connections gives young actors the opportunity to perform new writing specifically commissioned for young people. 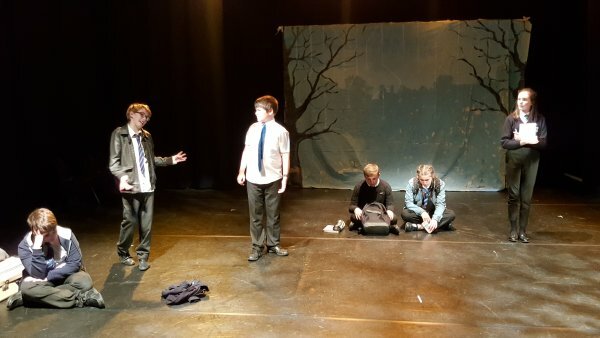 With InterACT Youth Theatre the cast are guided by professional theatre practitioners who bring industry standards to the work with the young people. We are very proud of the hard work, commitment, creativity and dedication of this group of young actors. New members are always welcome and this term will see the group doing workshops in theatre skills and improvisation as well as some members doing LAMDA exams. For details contact InterACT YT on 0151 336 4302 or littleactorstheatre@outlook.com or the web site www.littleactorstheatre.com.